A month has passed since the events in Dark Love and Max is preparing to deal with the passing of Flora May. What he isn’t prepared for is entering the world of faeries and dragons. The Jumble, the ancient wood just beyond the family farm, is in crisis. The fae are missing and the Witch of the Wood is dead. Can the Circle move past their grief and defeat the menace in the depths of the Pit? Will the secret of the Water Stone be revealed? And most importantly, will there be tea? 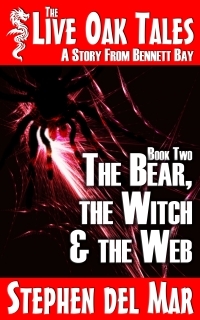 The Bear, the Witch & the Web is the second book in “The Live Oak Tales,” a contemporary fantasy/paranormal series set in the wider Stories from Bennett Bay collection. Link to book on Amazon. 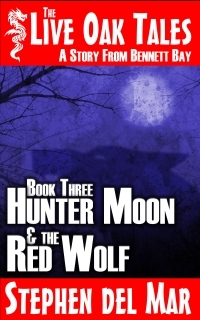 “Hunter Moon & the Red Wolf” is available for preorder now and will be released soon. Wolves! Wolves have returned to Florida, or at least in eastern Big Cypress County, and no one knows why or how. Janos Pac, the new Witch of the Wood, is desperately trying to hold Flora May’s old Circle together, but things are falling apart despite his best efforts. Stone, the youngest member of the group, is the only one to show up for Samhain. After his first cup of tea, the blue kind, things take an unexpected turn. A plot by the dragons is unearthed and everyone’s on the watch for owls. Beware the owls! Hunter Moon & the Red Wolf is the third book in “The Live Oak Tales,” a contemporary fantasy/paranormal series set in the wider Stories from Bennett Bay collection. Link to book on Amazon. 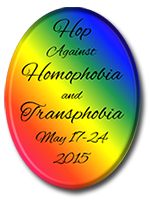 Just wanted to post a reminder about the Hop. I think you can still sign up. Another bit of shameless self-promotion. Dan over at the Love Bytes review blog liked “Dark Love” so much he wanted to review the rest of the Bennett Bay series. I sent him the books and the review/s are in. Check them out. Remember if you sign up for my newsletter you get a free ebook of your choice. 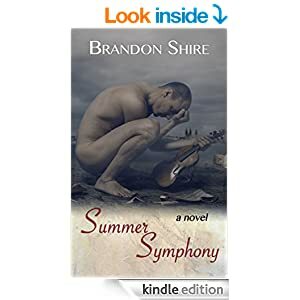 I finished Brandon Shire’s new novel “Summer Symphony” last night. Below is the review I posted on Amazon. I not only enjoyed this book, I appreciated it. I appreciated the fact there was a romantic interlude in these men’s lives that impacted them but, as happens so often in live, it was just that, an interlude. They both moved on. I found this story refreshing because it seemed free of so many of the romance tropes and clichés that have moved into gay fiction. It had a good ending. A natural ending. But not something forced into a happy ever after kind of thing. Best thing I can say is I stayed up way too late to finish it. This is a good read with a good emotional range. I really felt myself engaging with the characters—talking to them as I read along. I recommend this book. 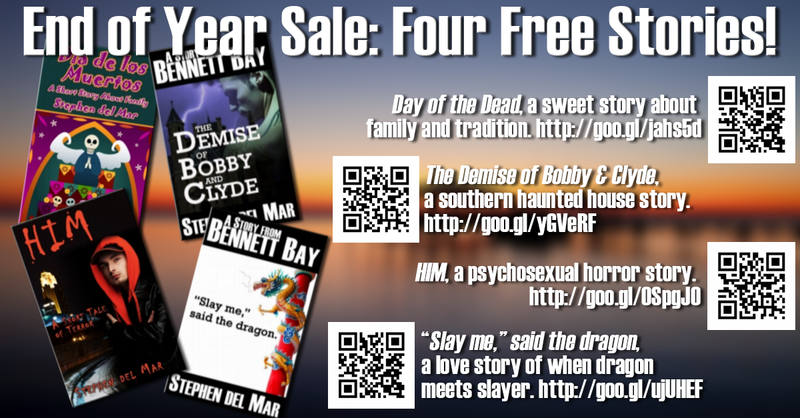 End of Year Sale: Four Free Stories! Free Dec 27 to 29.